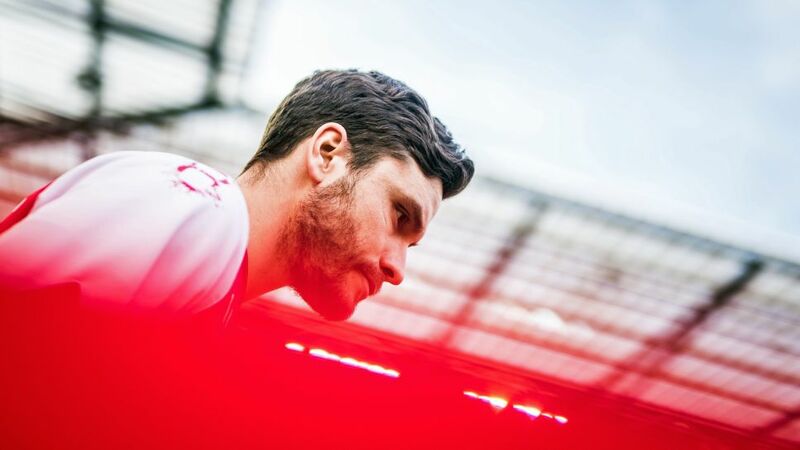 He plays his club football in the second tier with Cologne, but uber-loyal left-back Jonas Hector remains a key part of Joachim Löw's plans. Hector is very much a Löw guy, much like Lukas Podolski – relegated with Cologne prior to the 2006 FIFA World Cup, where he won the prize for the tournament's Best Young Player – enjoyed the full backing of Jogi's predecessor, Jürgen Klinsmann. Cologne's captain fantastic doesn't make headlines for grabbing assists like Augsburg counterpart Philipp Max and he doesn't have stunning free-kicks in his locker like Hertha Berlin's Marvin Plattenhardt, but he is (a) a tried and tested member of the current Germany set-up; (b) a grafter; (c) mega-versatile and (d) refreshingly modest. Capped 41 times by his country, 28-year-old Hector has been an ever-present at senior international level since Germany lifted the 2014 World Cup. He played every minute of Die Mannschaft's UEFA EURO 2016 campaign, confidently dispatching the decisive penalty past Gianluigi Buffon in the quarter-final win over Italy. He missed just one game at last year's triumphant Confederations Cup and was Löw's first-choice at left back at Russia 2018. "Jonas has got a lot of depth, he really understands the game," Löw said last March. "He defends, attacks and passes well. He also knows when to sit back and get stuck in, and when to go forward. Above all, he's reliable and has a cool head. We've even thought about playing him in central midfield." An attacking midfielder in his youth, Hector still retains the in-game intelligence that first caught Cologne's eye in summer 2010. Just look at where he has been deployed for club and country since: on the left wing, in defensive midfield, at centre-back and, for the most part, in his now favoured role on the left-hand side of defence. Hector's morph-like malleability at the highest level is all the more remarkable, when you consider that, until the age of 20, he was playing for Auersmacher in Germany's fifth division. He even turned down a move to join the Saarbrücken youth academy, in favour of "continuing to play with my friends." Prior to relegation, Hector repeatedly affirmed his happiness at the Cathedral City club regardless of what league they're in - and promptly acted on his words, signing a contract that would keep him in Cologne in Bundesliga 2. For a player who purportedly turned down Barcelona for fear of not being good enough, and Liverpool – "why would I go there, when I have everything I need at Cologne?" – such unwavering commitment hardly comes as a surprise. When all is said and done, Hector could be playing for Bayern Munich in the UEFA Champions League or earning a crust in the regional divisions. He'd still be happy with his lot, and he'd still be one of Löw's first picks. The almost accidental rise to the top of Germany's world-class left-back next door continues apace.